It’s easy for transfer rumours to be quickly forgotten when there are so many of them, especially concerning a club like Manchester City, who want everyone and anyone according to newspapers around the world. 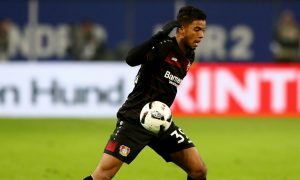 One rumour you may have forgotten from the January window was the Blues’ alleged interest in young Bayer Leverkusen full-back Benjamin Henrichs. It was reported by Germany’s Express last month that City had contacted Henrichs’ agent, Ali Bulut, to discuss a potential deal for the 19-year-old, already capped at senior level by Germany. Bulut closed the door on any January move, saying Bayer was the best place for his client for the moment. For the moment. 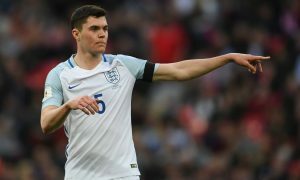 Sky Sport Deutschland has delivered a significant update with news that City’s interest in the teenager, primarily a right-back but also capable of playing on the left, has intensified. According to the German TV channel, a meeting was held at the Kölner Maritim-Hotel on Tuesday between Ali Bulut and representatives of Manchester City, and despite their attempts at discretion, the meeting did not go undetected. No details are known of what transpired in the hotel, but the indications are that Henrichs is a priority target for Manchester City, who have both right-backs, Pablo Zabaleta and Bacary Sagna, out of contract in the summer with at least one, if not both, certain to exit the Etihad Stadium. City may not have their own way if they try to sign Henrichs, with a host of clubs credited with an interest in one of Germany’s most exciting young talents. Bayern Munich, Napoli, Liverpool, Juventus, Inter, RB Leipzig and Atlético Madrid are also interested in the player’s services, while Bayer Leverkusen want to extend his contract which currently runs until 2020. Given reports in three countries that Pep Guardiola is looking at a reunion with Dani Alves, could his idea be to replace Zabaleta and Sagna with Henrichs and Alves, or will he make do with one new right-back in the summer?